Do You Have a Child That Hates to Lose? We play a lot of games here at APT, and there are frequently some pretty sad or frustrated faces when a game is lost. We play games for a variety of reasons including building social awareness, improving self regulation (skills such as handling frustration, managing expectations) auditory or visual skill building, fine motor skill enhancement and so on. Kids who hate to lose are often called “sore losers,” but it can be taken to the extreme. 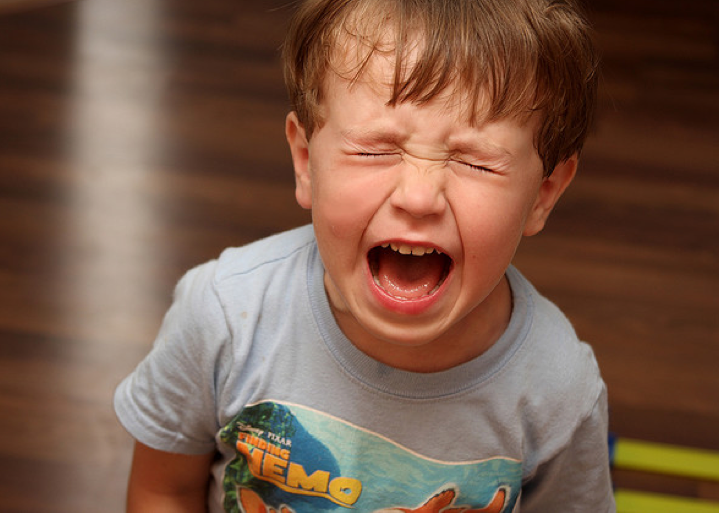 Kids will throw tantrums, name-call (to themselves or others), cry, hit or even stop talking. Play by the rules. You are your child’s best teacher and you shouldn’t let them win on purpose. If the game is too hard for them, scale down. Shake hands whoever the victor is at the end of the game. Encourage self competition. This means letting your child set their own goals. If they were able to ride their bike up 1/4 of the hill, maybe their goal can be half the hill next time. They don’t have to play games all the time to learn some aspects of healthy competition. Encourage “improving” over “winning.” The game that keeps score may be more difficult for a child to handle than activities that don’t. Martial arts, dancing and fort building are not scored, but you can show improvement in each. Poor sportsmanship is not okay. Bragging when they have won or “freaking out” when they have lost: neither is being a good sport. Model for your children how to be a good sport. At the beginning of a game, do a cheer for the opposite team. Always make sure to say “good game.” Don’t gloat when you win. Point out what the other team did well, even if they lost. Acknowledge the effort. Let them know how hard you see that they tried. Ask them if they’d like some help getting better at something. Don’t set the bar too high. If your child is 5, don’t pick out a board game for ages 7 and up. There is a reason for age parameters. Try to stick to them. Set a new strategy. When they say “I’m never playing this dumb game again!, ” you can try to help them become better at the game you were playing. Ask them what they could have done differently. “How would you feel?” Ask them how they would feel if a friend quit in the middle of a game that your child was winning. Ask them these questions when it is no longer game playing time, when the heat of the competition has worn off. Set them up for success. For our kids, things like lighting, noise and seating can make a huge difference in how well they are able to play. Have a sense of humor!! When kids get a “skip a turn” card or make a wrong move, they can pick a silly word to say that will express their frustration. We use words like “Oh Fiddlesticks!” or “Oh Pickles!” Silliness takes the seriousness out of play. You can also leave the game as it is and go out and throw a ball outside. Come back later. For some kids, the emotion of winning or losing may just be too much for now. On those occasions, play a game where they are part of a team or choose an activity that is non-competitive like an art or science project. Make your own weighted blanket or here. 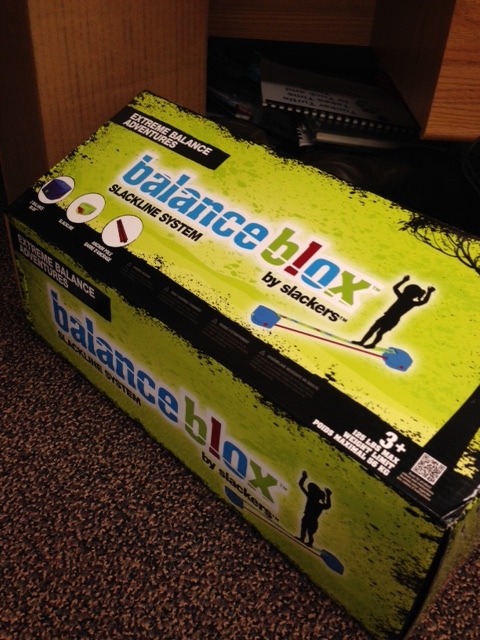 Balance Blox slack line is great for balance skills indoors, and a regular slack line for outside. Scooters are fun to scoot around in at home or outside. Always fun and a great workout for little arms and bellies. 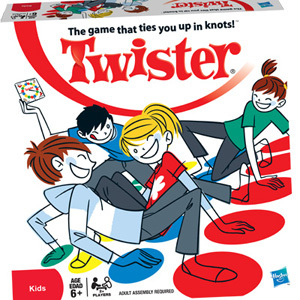 The game Twister is an old school favorite and great for gross motor skills and for motor planning. For older kids who have a tough time paying attention in school, this watch vibrates and reminds them to pay attention, take medications or whatever else you program it to say. Spin Around Kids is a sit and spin toy that kids power themselves. Bosu Balance Trainer is a half therapy ball which you can stand on to throw a ball, play a game or prepare dinner! Gorilla Gym (out of stock on Amazon) has swings and ropes that hang from the doorway. Spin Discs also help with vestibular skills, but you can also hold them firmly and spin them around on an office chair. If your child is particularly sensitive to vestibular stimulation, talk to your OT about whether these are appropriate. Trampolines are fun ways to get vestibular input and don’t have to take up a ton of space. Weighted Vests are a great way to provide deep pressure. Lycra Bands provide lots of deep pressure. 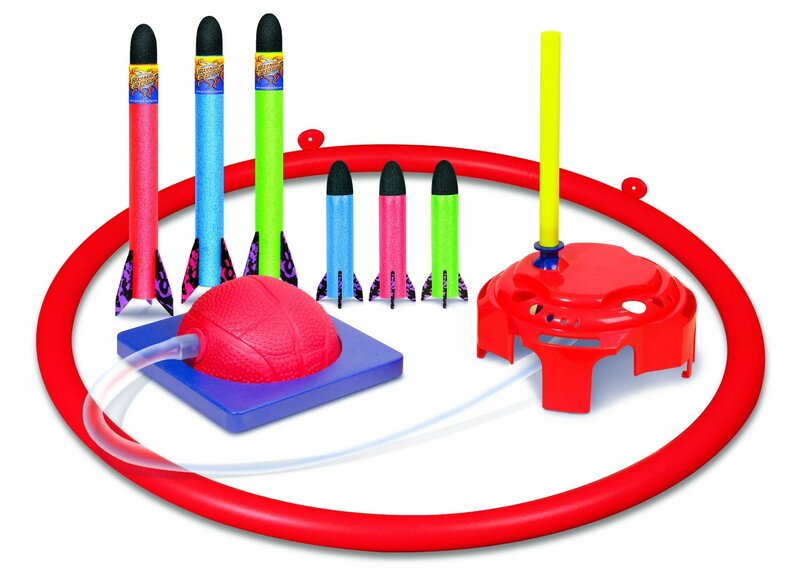 Stomp Rockets are a favorite in our gym. The stomping is super fun and great for proprioception. 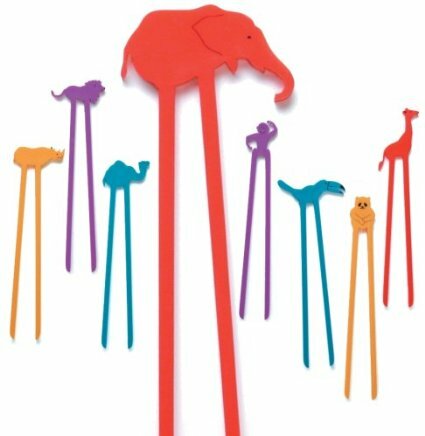 Hog Wild Zoo sticks are kind of like chopsticks and a great way to have fun while working on fine motor skills. Rainbow Looms help kids make jewelry out of tiny rubber bands. Great for dexterity. 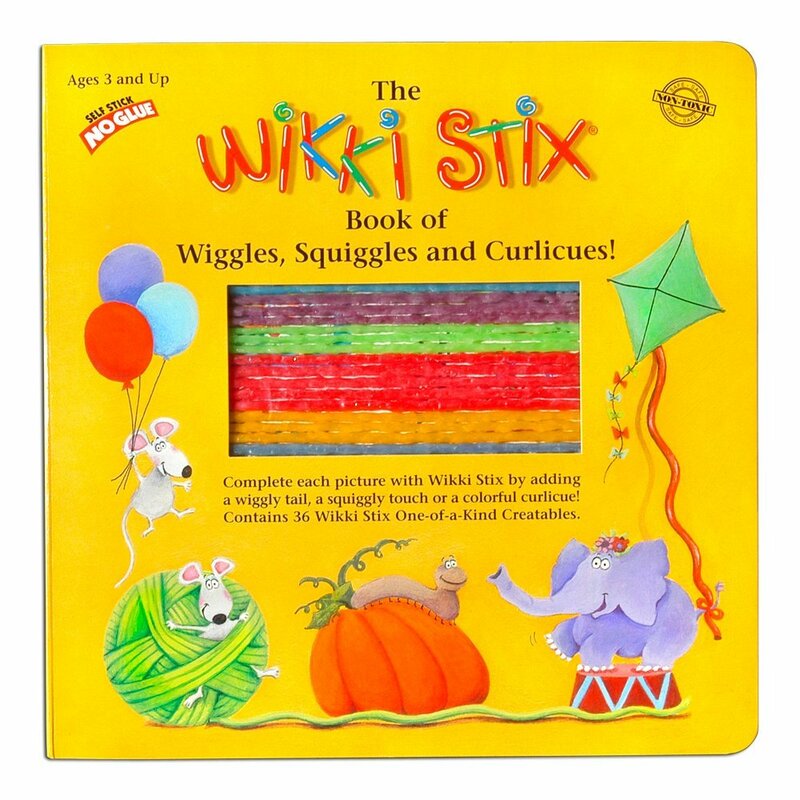 Wikki Stix are wax coated colored string which can be bent to make letters, shapes, whatever your creative mind desires. They are a great fine motor and writing tool. Indigo Dreams CD’s are fantastic for stress and anxiety relief. Some great board games to promote social skills include Jenga, Consequences, Busytown, Guess Who and Labyrinth. There are many games which encourage specific social skills. Ask your OT if you would like something more related to your child’s social needs. As always, please ask if you have more questions!